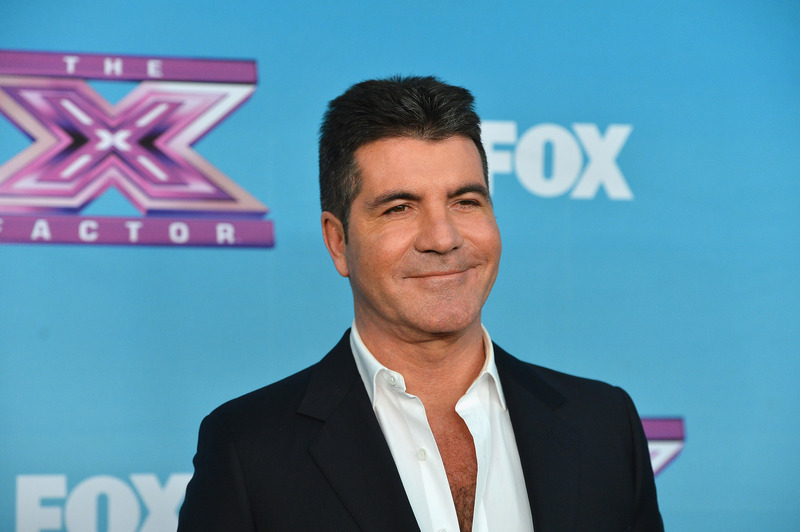 Will Simon Cowell's Drama Bring Ratings to 'The X Factor'? For once, Simon Cowell is making news just as much as his X Factor co-hosts. With yesterday's reveal that the 53-year-old judge and producer is having a baby with his friend's wife, amid the couple's bitter divorce, Cowell's name can be found on headlines everywhere. The premiere of The X Factor may still be over a month away, but it does seem possible that all of this publicity could bring more viewers to Cowell's show, with fans eager to see if the judge can keep up his signature biting remarks even with personal drama brewing. But, of course, this isn't the first time a reality show judge has found themselves at the center of a scandal. And scandal hasn't always helped series surge to the top of the ratings charts. Let's look back at some of reality TV's biggest controversies, and see whether Cowell should expect to benefit from all of the attention. A few seasons after Cowell left Fox's American Idol for its in-network competition, The X Factor, the show made even more changes to the judges' panel by replacing Steven Tyler and Jennifer Lopez with Keith Urban, Mariah Carey, and Nicki Minaj. Urban maintained a pretty low profile during the course of Season 12, but almost as soon as the announcement was made, Minaj and Carey began having problems. There were constant rumors of fighting between the two women, some of which escalated to public Twitter exchanges. This was all happening as Idol's ratings reached some of its lowest numbers ever. Did the fighting help viewers rediscover the reality competition? Not at all. The 12th season as a whole performed much worse than the 11th, and even a fresh fight during the season's worst week couldn't save the ratings. On the May 28 episode of NBC's The Voice, after learning that his team member Amber Carrington was saved after two others were sent home, Levine turned to his partner-in-bromance Blake Shelton and said, "I hate this country." Immediately, there was backlash from some of The Voice's more patriotic fans. Levine defended himself on Twitter by posting the dictionary definitions of the words "misunderstand,"lighthearted," "humorless," and "joke," before fully explaining himself to Us Weekly. He told the magazine that he "obviously" loves America, and really meant that he hated the way the country voted that week. The controversy had no effect on the ratings, with the next episode having a pretty standard amount of viewers for a performance show. NBC seems to have forgiven Levine for the mistake too, since he'll return for a judge on the upcoming fifth season. The Talk is essentially CBS's version of The View, with an emphasis on the women all being mothers, and just like its ABC sister, The Talk is no stranger to co-host drama. The show's first season in 2010 featured Julie Chen as the moderator of co-hosts Sharon Osbourne, Holly Robinson-Peete, Sara Gilbert, and Leah Remini. At the end of that season, however, Remini and Robinson-Peete both announced that they were not asked back for the following year. It could've been a standard case of scheduling conflicts, or network demands, but instead the pair's firing lead to a public conflict. Remini accused Osbourne of having her and Robinson-Peete fired for being "ghetto" and "awkward." Osbourne denied the tweeted accusation on her own Twitter, and the next season it was all but forgotten when Aisha Tyler and Sheryl Underwood joined the show. The Talk had been doing very well in the ratings when the first season ended, and things didn't change much when it returned the following fall. VIewers didn't seem to care who filled the seats at The Talk's co-host table. It seems that if Cowell wants any of his increased media attention to boost The X Factor's ratings, his love affair needs to become an even bigger story. Only The View's scandals, which revolved around important issues, effected TV ratings. Looks like the only silver lining to Cowell's story will be his new baby.